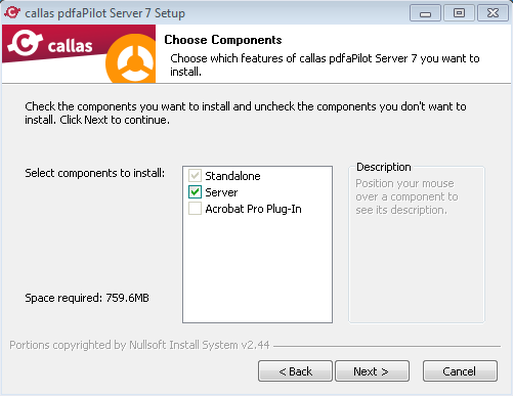 It is also possible to run the installtion without any user interaction. 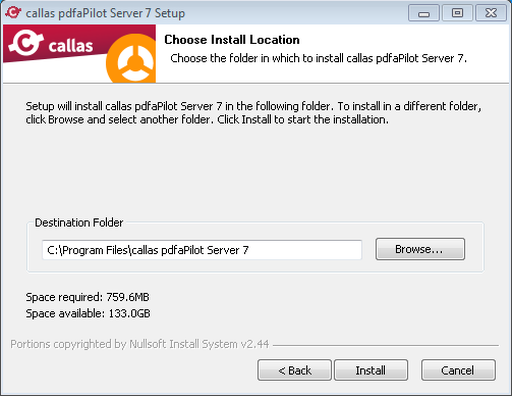 With the additional parameter /S the application will be installed at the default location on Program Files. Short Introduction, continue with "Next". Please read the License and Support Conditions carefully and click on "Next" if you agree. Now select the components you want to install. You can install the application on the default location in program files, else this can be changed by clicking on "Browse..." and setting path to the custom location. 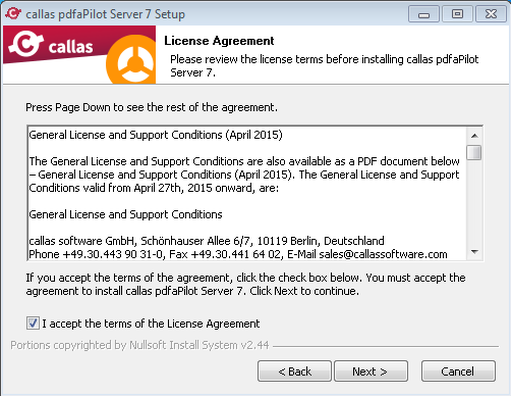 Installation of pdfaPilot is now finished. Clicking on "Finish" will run pdfaPilot Desktop Standalone.